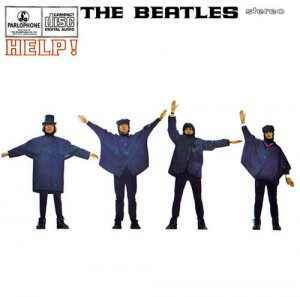 “Help” — Great song, even if it is a bit repetitive. “The Night Before” — I like the bridge of this song; it’s got some cool, unexpected harmonies. “I Need You” — I really like the verses of this song. Once again, the Beatles seem to be branching out in their harmonies. “Another Girl” — I have to say, I love the way the Beatles pronounce the word “girl”! They sort of say “gel” (with a hard G) instead, and it’s great! This song does have a very similar beat to the last one, though…makes them sound quite similar. “You’re Going to Lose That Girl” — Love the jump to the high notes when they sing the word “lose.” The verses are pretty boring by comparison. “Ticket to Ride” — This song makes me nostalgic for summer afternoons spent at my neighborhood pool…and I’m not sure why! It’s not like I heard this song that often as a kid. One of those mysteries of the human brain, I guess. At any rate, good song! “Act Naturally” — I have to say, I hated this one! Definitely a huge clunker in an otherwise really good album. “It’s Only Love” — Meh. I find this song very musically boring, but I like the lyrics. “You Like Me Too Much” — Just what every girl wants to hear. 🙂 At least he says he likes her too! Also, I dig the honky-tonk piano vibe at the beginning of this one. “Tell Me What You See” — I like the call-and-response feel of the verses. But overall, I find this song very forgettable. “I’ve Just Seen a Face” — Love, love, love this song! It’s so sweet and happy and romantic. It just makes me smile! 🙂 Also, I like the sort of fake-out at the beginning…it sounds like a totally different kind of song at first. “Yesterday” — What can I possibly say about this song? It’s iconic and quite lovely. I feel like it’s a bit of a cliché now, but that’s not really the Beatles’ fault! “Dizzy Miss Lizzy” — Great song title, less great song…but it was still a fun listen. Next album is “Rubber Soul,” which should be really interesting, so stay tuned!